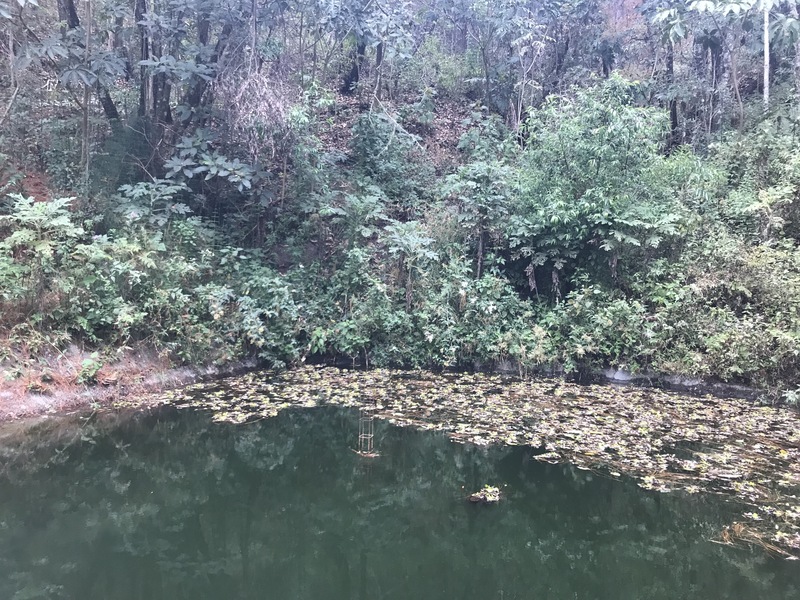 Since returning from the BCEP trip to Oaxaca, Mexico, I have had time to reflect and appreciate the width and depth of my experiences. The food, the people and the environment of Oaxaca provided a rich cultural experience, that continually challenged my perceptions and expectations. Even though it was easy to feel overwhelmed by our pace, I was grounded by the places and the people that we visited. My most insightful memories all involve the personal connections we had the opportunity to make while on field visits. It was on these outings that I encountered the intersection of policy and people. At La Mesita, an ecotourism destination in San Pablo Etla, we explored how water capture projects have restored the water table, and reversed soil erosion. 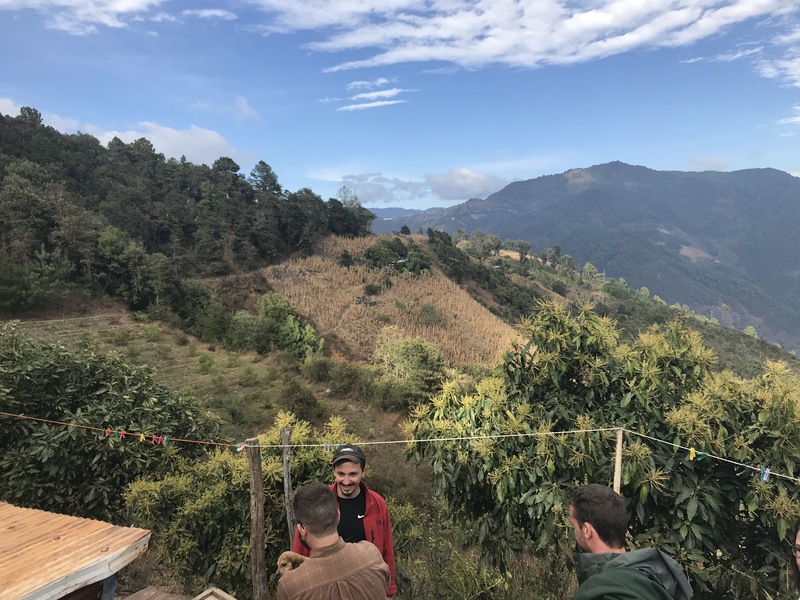 On Rancho Alternativo, a farm in the Sierra Sur, we observed restorative practices that have increased production of a working agricultural landscape, while providing a livelihood for the families that live there. In Tierra Blanca, a coffee producing cooperative, we saw afforestation efforts alongside the production some of the best coffee in the world. All of these projects left me in awe. 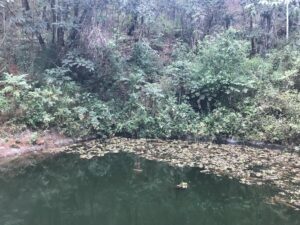 Permaculture and ecological restoration have been of interest to me recently, but seeing processes in action revealed a sense of their simplistic beauty. While not all of the projects we saw would be considered simple by any means, it is the intention behind all these projects that is common: to aid the processes of nature back to a state which increases the health of land, as well as the people who live on it. There was no clearer symbol of this simplistic beauty than the A-frame tool. A simple mechanism, the A-frame is made of 3 boards that form an “A” shape. A weighted string hangs down from the apex of the “A”, and in the middle of the cross board, a notch marks the center, where the sting rests when both legs are level. The A-frame device is used when planting trees or digging ditches along topographic lines. Topographic planting helps to slow the run off of water. This reduces erosion and allows water to infiltrate the ground, permeating the aquifer. 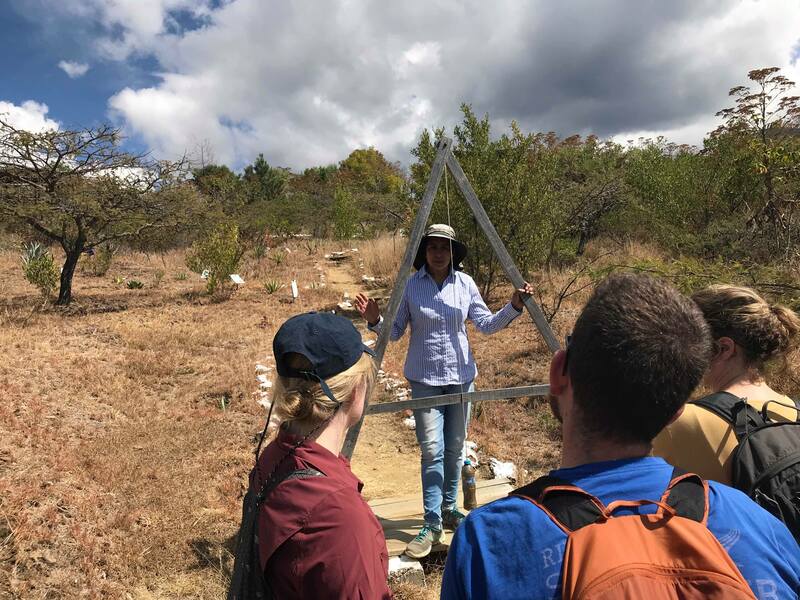 The A-frame is a simple tool, that can create huge ecological changes, transforming bare dry slopes, into thriving ecosystems and agricultural lands. If I were to take away one lesson from my time in Oaxaca, it is that simple tools can be used to create immense change. An A-frame tool can transform a landscape; a single farmers commitment to sustainable practices can preserve an ecosystem; and one community’s commitment to conservation can be used as a learning tool for others. Realizing the power of the small choices we make will be vital to creating lasting environmental change.